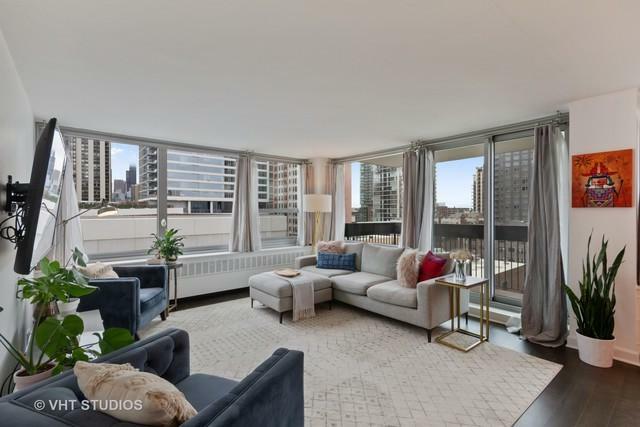 Can't miss city views and unparalleled sunlight will make you feel right at home in this southwest corner unit with deck! Engineered hardwood throughout, including the bedroom. Kitchen remodeled with quartz counters, ceramic tile back-splash, and breakfast bar. Bathroom gut rehab with glass back-splash and porcelain tile floors. 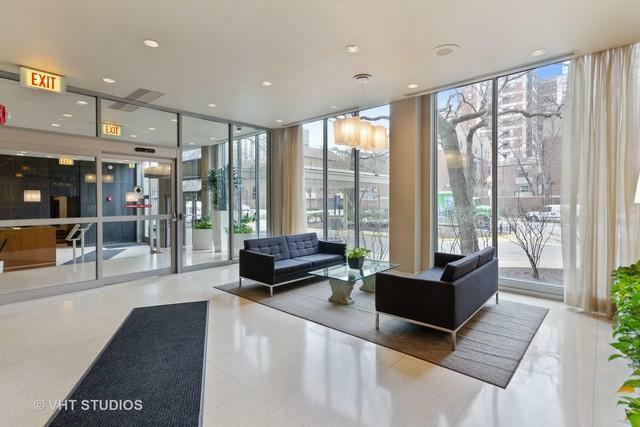 Building has outdoor pool, sundeck, tennis courts, 24 hr doorman, storage. 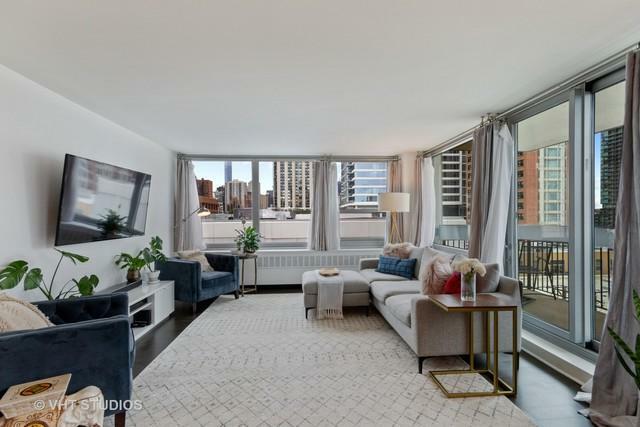 More updated of the Sandburg buildings (including new windows in 2018), strong reserves. 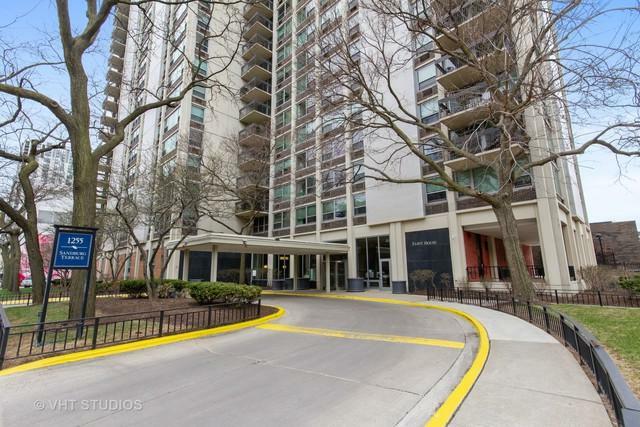 Close to the lake, downtown, Lincoln Park, Old Town and Gold Coast. Parking available for rent onsite, steps from the CTA Red line at Division.